For the headdress seems an Huaxtec, and for the collar seems a priest. Probably a statue of a Cuextecatl, a priest warrior. 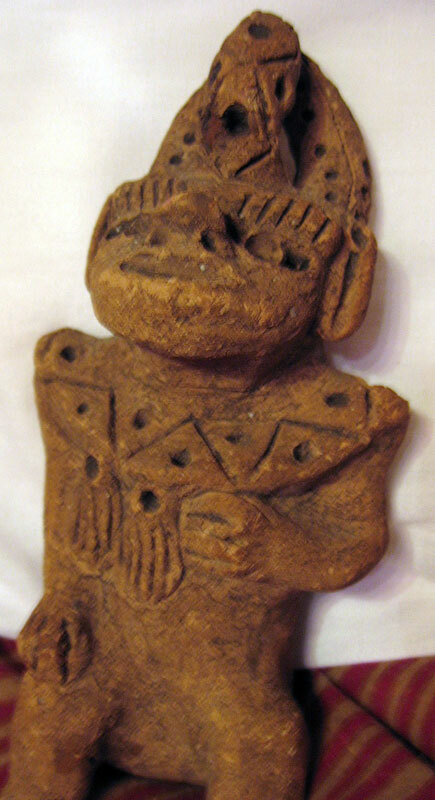 He also can be a priest of Xipe Totec, if the two little things on the breast are truly hands.